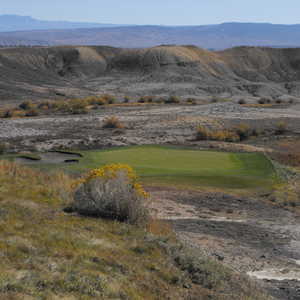 The 9-hole Desert Nine at Adobe Creek National Golf Course in Fruita, CO is a public golf course that opened in 2001. Desert Nine at Adobe Creek National Golf Course measures 6998 yards from the longest tees and has a slope rating of 122 and a 71.4 USGA rating. The greens are blue grass. 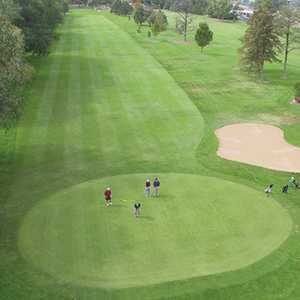 The 18-hole Mesa Nine at Adobe Creek National Golf Course in Fruita, CO is a public golf course that opened in 1992. Designed by Ned Wilson, Mesa Nine at Adobe Creek National Golf Course measures 6998 yards from the longest tees and has a slope rating of 122 and a 71 USGA rating. 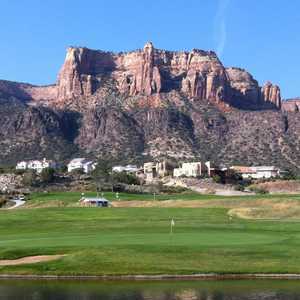 The 9-hole Monument Nine at Adobe Creek National Golf Course in Fruita, CO is a public golf course that opened in 1992. Monument Nine at Adobe Creek National Golf Course measures 6998 yards from the longest tees and has a slope rating of 122 and a 71 USGA rating. The greens are blue grass.